We are constantly working on making our lives comfortable and easier. 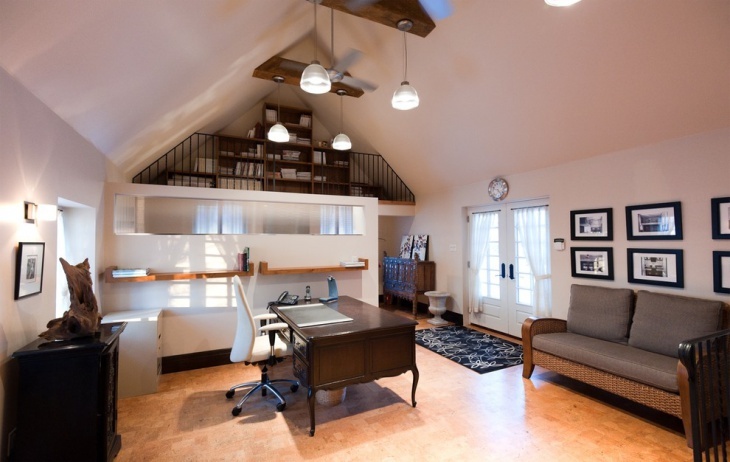 The concept of home offices is catching up pretty fast among different types of professionals. It is not only time saving but also easy for us to bridge the distance between our home and office. 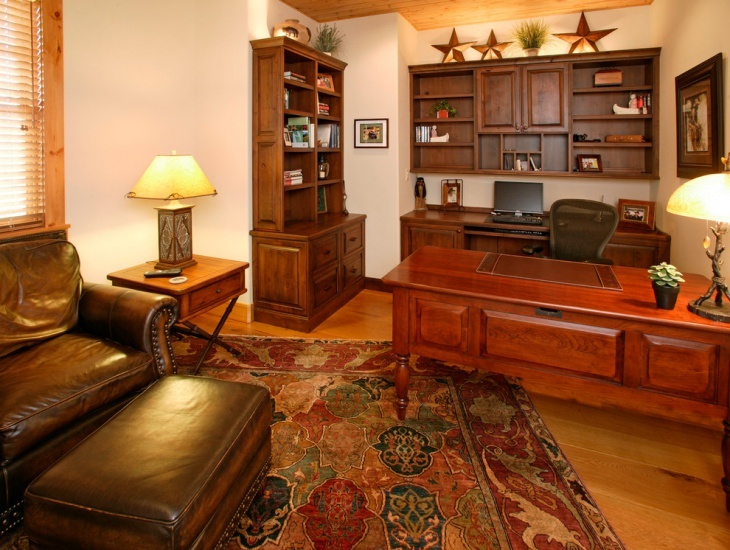 You can add another dimension to your home office by giving it a soothing look which is pleasing to eyes. 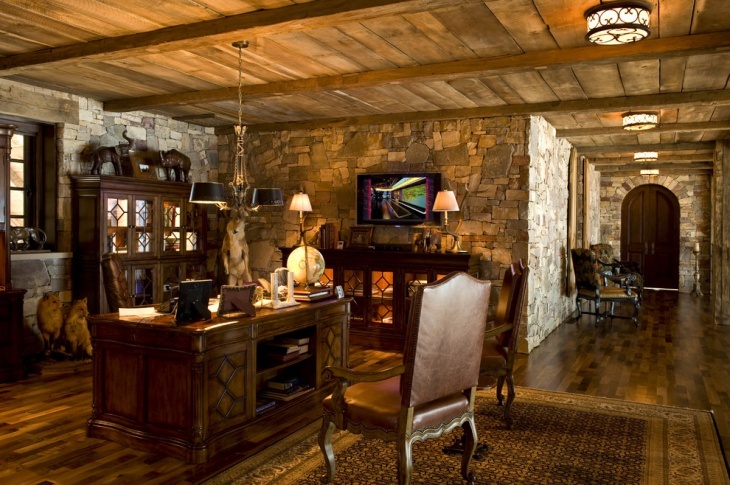 Here we present the range of very special rustic home office designs. 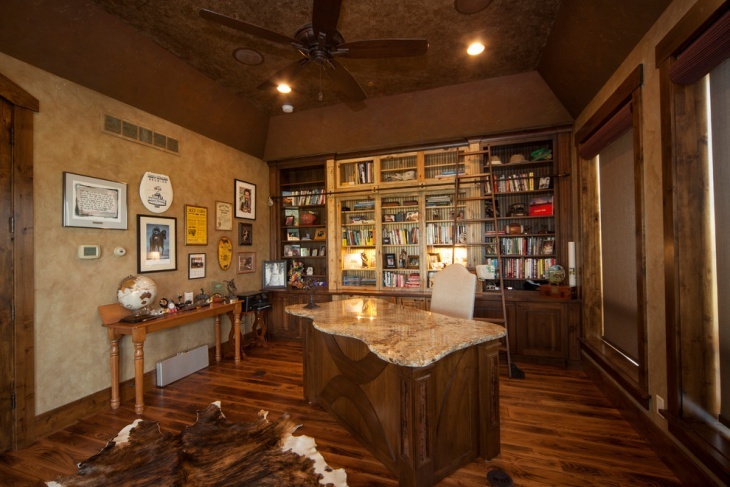 Lots of Library space on the background and the long couch on the sides is the main attraction of this design for home office. There are two separate tables in the room. One with a flower pot and plate full of fruits and another dedicated for files and office use. 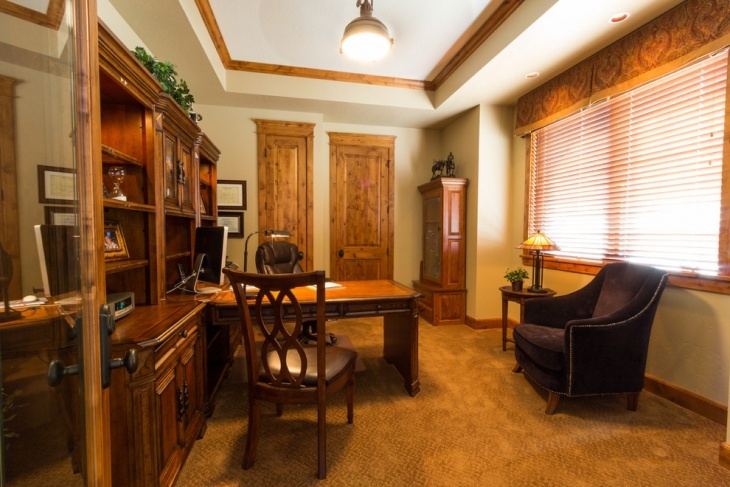 This form of design presents a compact home office computer table of the back of the chair and a table in the center. There is a large square portrait depicting scenery hanging on one of the side walls. 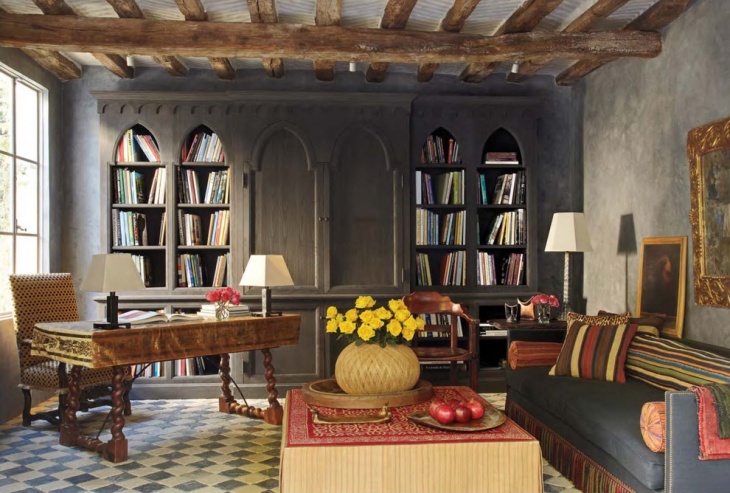 The beauty of design lies in the chandelier hanging with the help of chains and having candles all over the border. 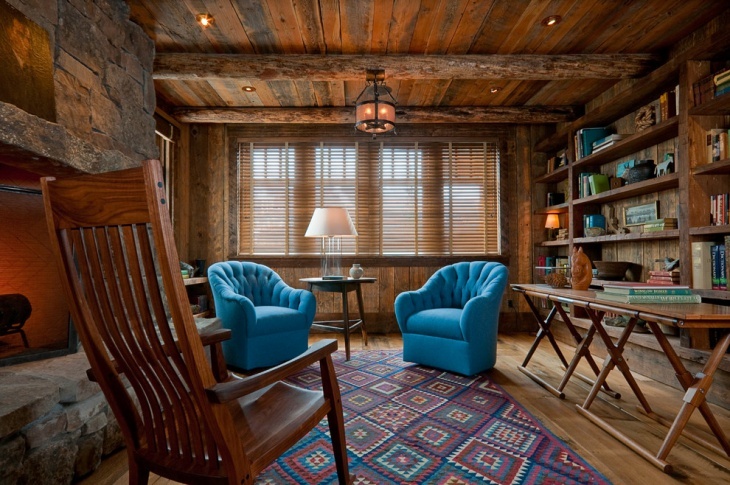 The two sides of the rooms have large windows with transparent glasses for lot of light to enter. 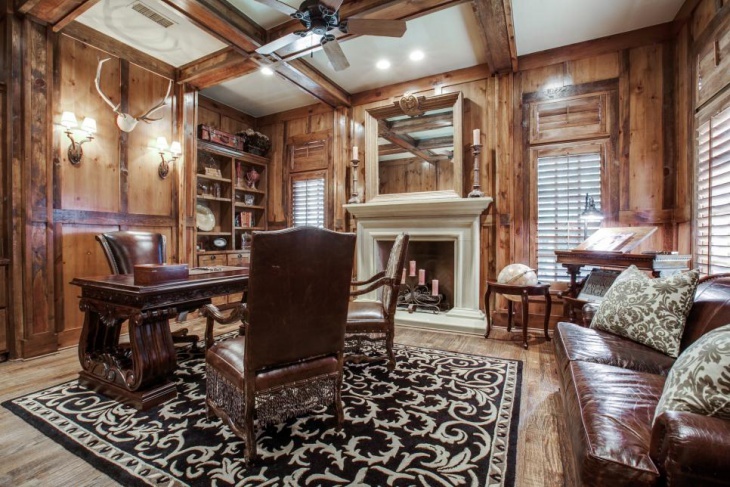 This design shows a rectangular shaped room with lower half of the walls neatly covered with panels of wood. 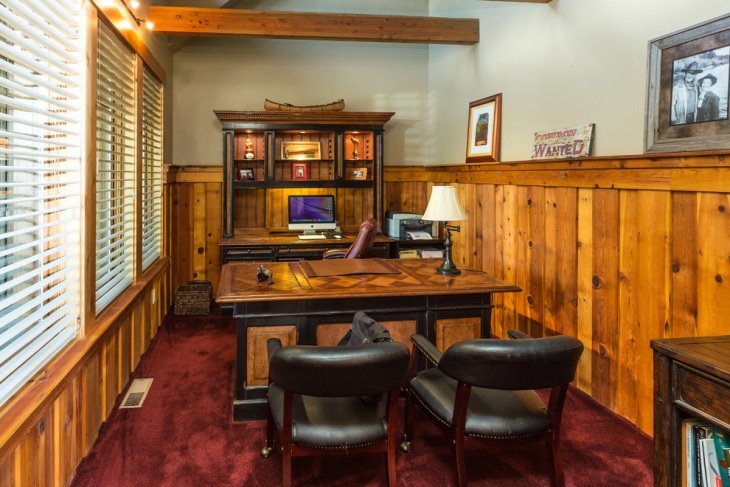 The room is arranged along the length with a small computer wooden table on the back. The table has a lamp on top. 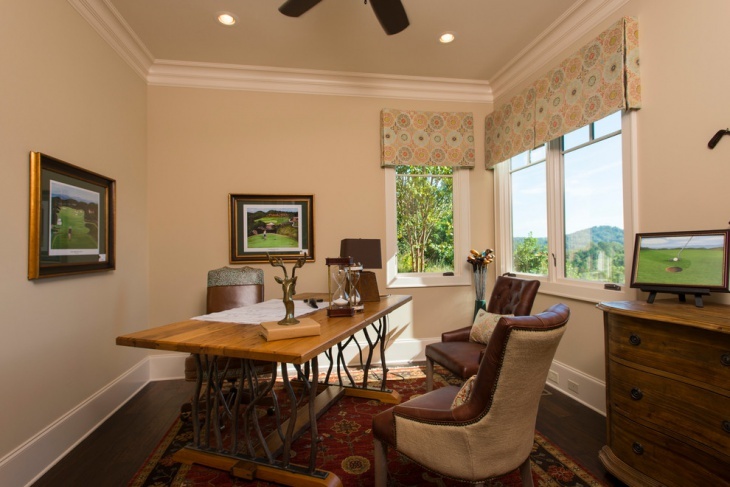 This design shows an ideal sort of home office with a nice view of the front. The floor is covered with nice thick carpets and there is single chair for the visitor with a stool in front all covered with cushion. 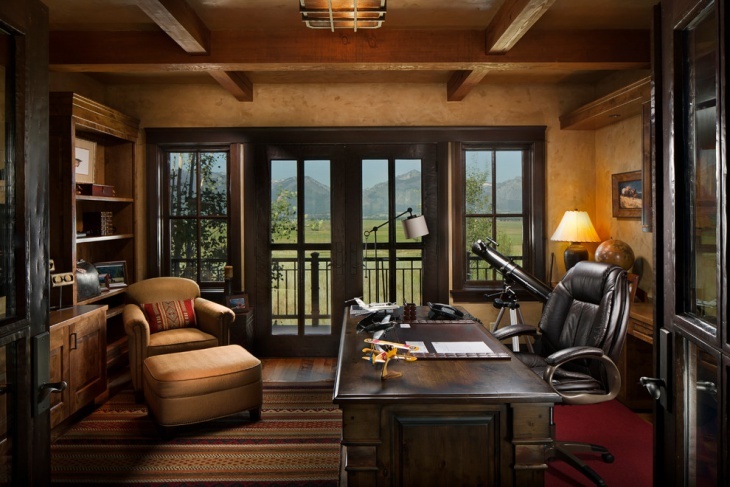 This design for your home office shows well ventilated room with a lot of scope for the natural light to enter. The upper half of one of the walls is turned into window with a glass panels. The curtains are of cream color which is also the color of the walls and the ceiling. 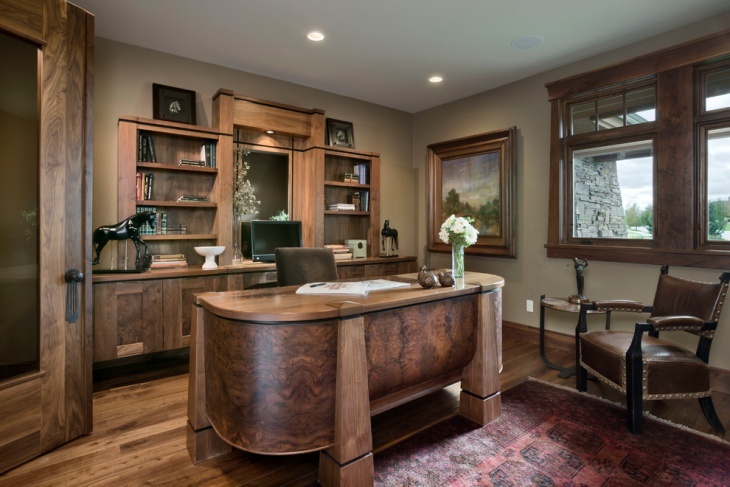 It is an elegant all wood design for your home office. 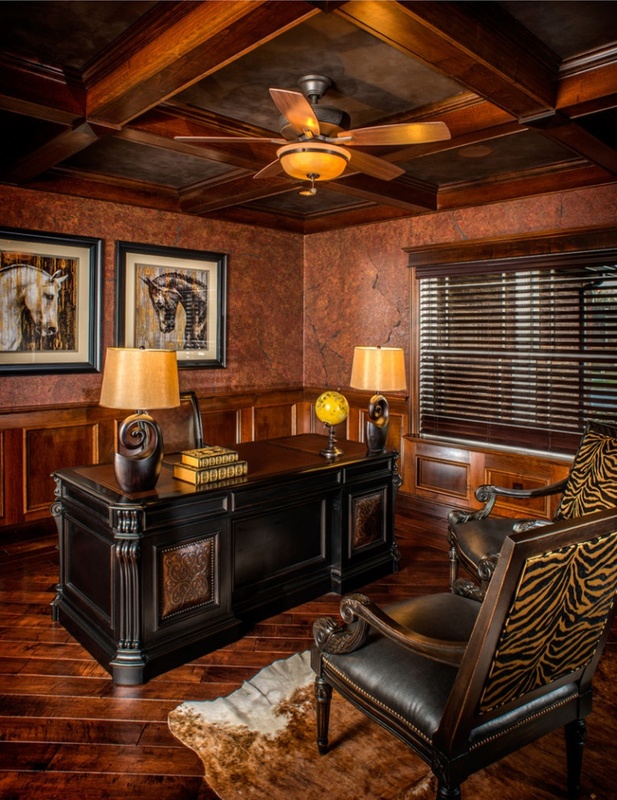 All the walls are covered with wooden polished panels to match the texture and color of the furniture present in the office. 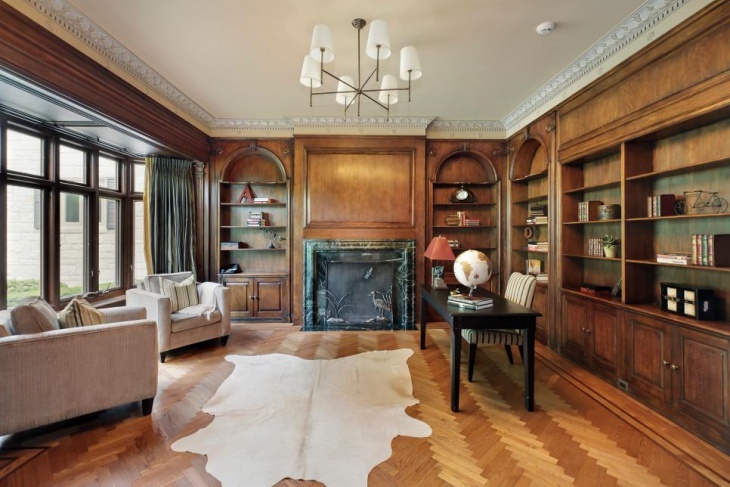 The ceiling also consists of the similar wooden panels making a square with edges extending till beyond. The wooden showcase on the back is of black color. 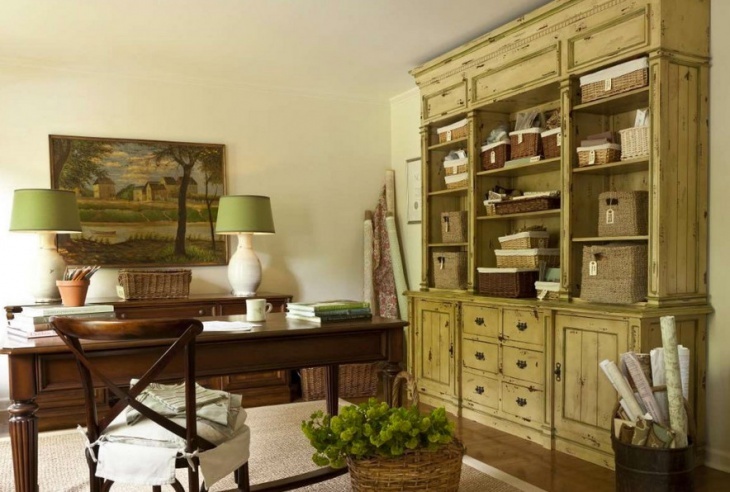 This design tries to replicate the idea of vintage home to office with comfortable pair of chairs with lot of cushion for maximum comfort. The table in the middle has a pot with artificial plant with flowers. 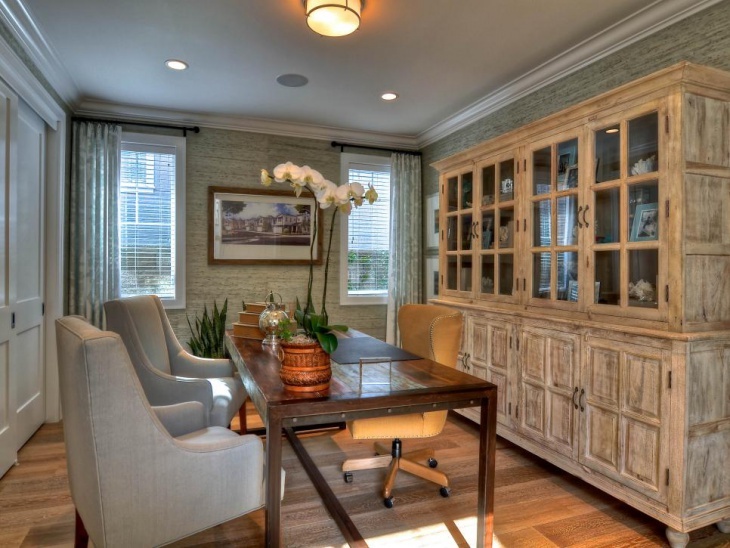 The furniture on the background has the closed cupboards on the lower half and upper half consists of showcase. 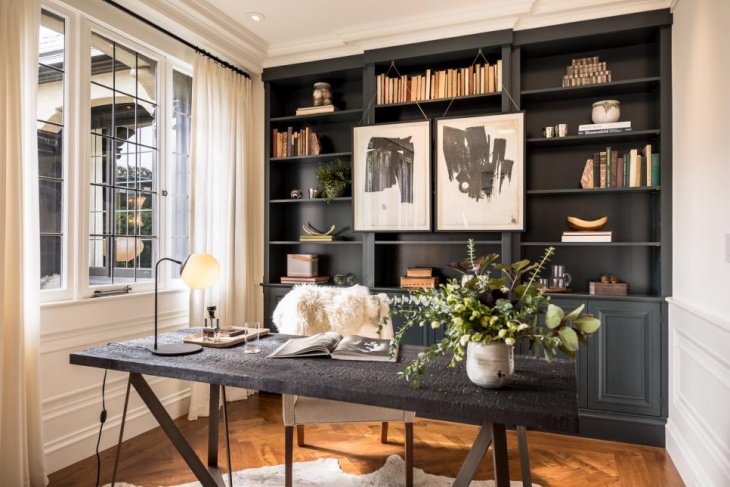 You can also give your home office a traditional look with a pot containing the fern or palm, a table in the center with a cozy chair, a small table on the side with a pot containing small decorative plant and a night lamp more for decoration.